Dechel Mckillian gives us an education on slow fashion and where to shop. The only thing new about fast fashion is the term itself. Some more familiar synonyms could be "sweatshop" and "commodification of human life in order to turn profit". No rebrand can erase its exploitative and deadly past though, just ask any ex-AP US History student about the Triangle Shirtwaist Factory fire. Maybe remembering history isn't enough when it continues to repeat itself with tragedies like the 2013 collapse of the Savar building in Bangladesh that left 1,134 dead when the building's owners forced employees to return to work after being warned that the structure was unsafe. So, why has fast fashion been allowed to not only survive, but to thrive, with its bloody track record? The answer is simple: it's cheap for consumers. 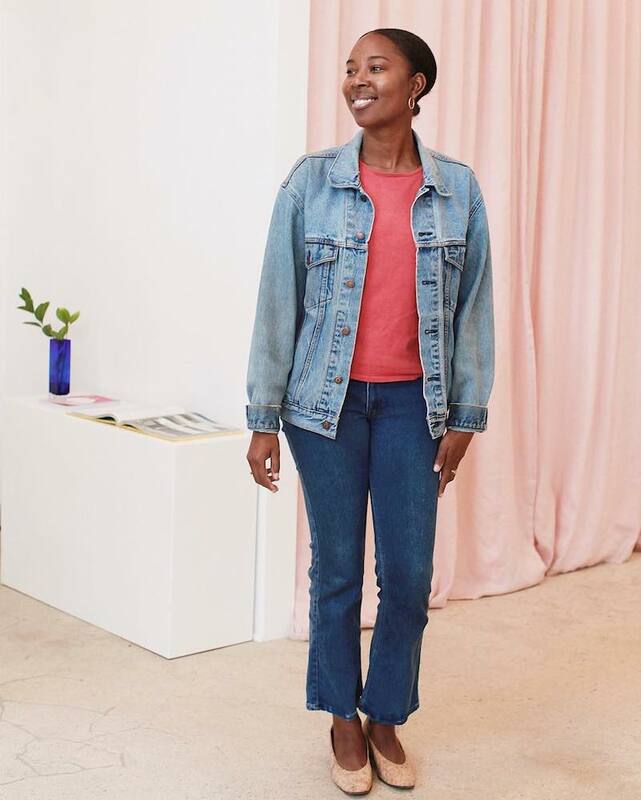 "The term 'fast fashion' stems from the last 15 years as we’ve seen the rise of big-box retailers like Forever 21, H&M, Zara, ASOS, TopShop that capture the latest trends at very low prices," says Dechel Mckillian, the owner of GALERIE.LA. "These retailers are notoriously known for their blowout deals and on-sale marketing to get you the latest fashion trends from the runway to the store in a matter of days. Because the prices are cheap, many people tend to buy more to keep up with the latest fashion trends, wearing items once only to be discarded after." Before founding Galerie.LA, Mckillian was a stylist for artists like the Black Eyed Peas, Lil Wayne, Drake, Nicki Minaj, and Lionel Richie. Often on the road with them, she saw firsthand the negative global effects that fast fashion had. In 2014, she began dreaming up a retail concept that didn't rely on sweatshops. "After months researching brands that combined a high fashion aesthetic, ethical production, and eco-friendly materials, we put together a business plan that verified the growing trend of conscious consumerism," Dechel continued. "All of our brands guarantee to us that they know their factories, garment workers are getting paid fair wages and are in safe conditions. Equally as important, I choose pieces based on style, quality, timeless wear, and sustainable production. I don't carry any pieces that I would not put on a celebrity client or myself." With Galerie.LA, she is pushing for the adoption of slow fashion, also known as ethical fashion. "Slow fashion is less volume based and adopts the message for the consumer to buy less, but better quality items," Dechel clarified. "Designers and brands who use slow fashion production practices don't follow the traditional fashion calendar, rather have collections that represent wardrobe staples that are seasonless and not trend driven. 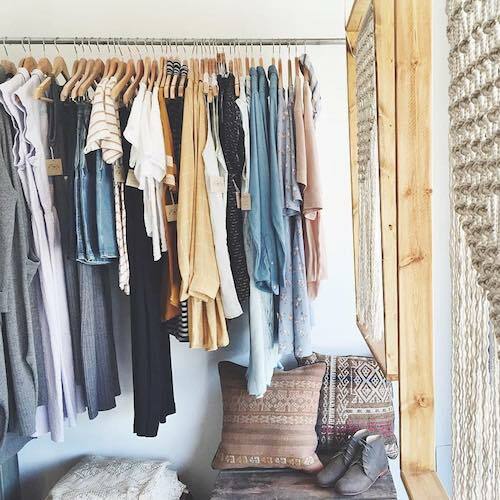 Ethical fashion takes into consideration both the social and environmental aspects of the production process and supply chain. Ethical fashion companies produce their garments in factories where workers are getting paid fair wages, work in conditions that don't jeopardize their safety, and do not use sweatshops practices or child labor. This is important because 97 percent of the items sold in the US, alone, are made overseas." 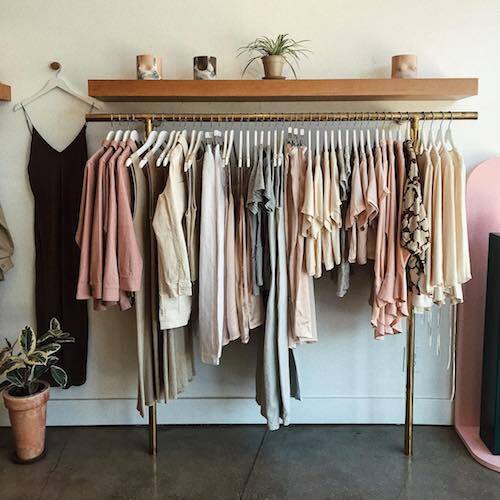 On paper, it's hard to argue against buying only from these ethical fashion companies, but in reality, we have to take into account the barriers that could prevent consumers from making the switch. "I believe it's a combination of awareness, price point, and accessibility," Mckillian noted. "We've been conditioned to buy based on price and trend. Most people do not even think to look into the brands they buy from to discover where their clothing was made, the materials it was made from and take a greater stance to support ethical and sustainable production methods." The higher price point associated with these pieces, making them less accessible to some, is something that McKillian is consciously aware of. "Ethical fashion does have a higher price point than fast fashion", she continued. "However, we have to rethink why fast fashion is so cheap. If a garment is made in LA for instance, and garment workers are getting paid a minimum wage of $12-per-hour, there is no way a company can charge $5 for the garment. Instead of thinking fashion should be cheap, we should consider the quality, materials, and how many times we'll actually wear the garment. I'd rather spend $50 on a t-shirt and know it was made with respect for people and the planet, will last, and I love it, over the $5 price tag." Addressing alternatives that could lower the cost of slow fashion, Mckillian offered that, "There's so much clothing already out in circulation that would normally be thrown away and ultimately found in a landfill somewhere," and that "for low-income families or those that cannot afford to buy new, shop at thrift and vintage stores, online clothing swap companies like Swap Society and charities that are literally giving away new clothing from overstock. It's better to reuse what is already out there than buying new and that's a great way to stop the cycle of clothing pollution." "Ethical fashion can get overwhelming once you really start to dive into the issues of the fashion industry," Mckillian explained. "I love listening to the experts who make it easy to understand. After all, most people don't have the time or would rather not do the research to find the brands and decode their messages. Conscious Chatter is a podcast by Kestrel Jenkins, who is a sustainable fashion expert and interviews brands and individuals from all over the world. She has a knack for asking the hard questions we all want to know the answers to, while making it accessible for everyone to understand. I also like to keep up to date with Whitney Bauck, editor at Fashionista, for suggestions on sustainable fashion brands, Aditi Mayer discusses the cross of cultural appropriation and sustainability on her blog, and the Melaninass site is great for sustainable product recommendations founded by people of color." Mckillian left us with a question that we are still processing: "can you truly be a feminist if you are buying from brands and retailers who use sweatshops where garment workers are majority women and not even getting paid a living wage?" Dechel Mckillian: Curates the finest selection of women's sustainable fashion from emerging brands worldwide. 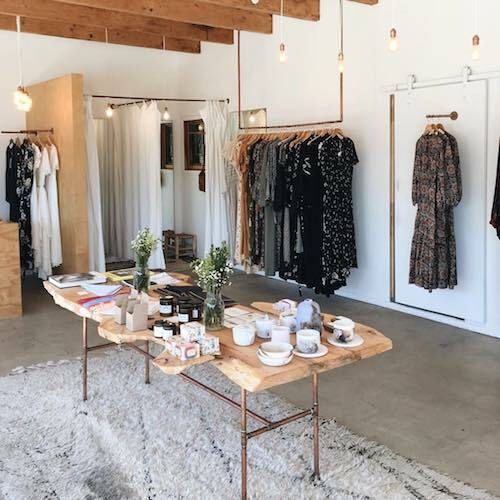 Founded by celebrity stylist Dechel Mckillian, GALERIE.LA invites customers to shop their values with ease online, and the ethical concept shop is now open at ROW DTLA. DM: Creates effortless and flirty wardrobe staples from deadstock and eco-friendly materials. 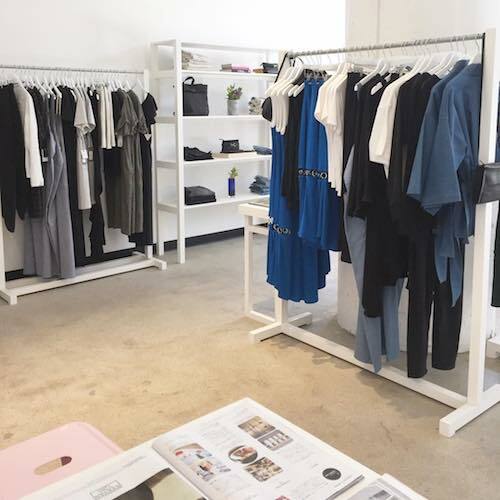 The West LA store carries a curated selection of like-minded brands and lifestyle goods. DM: Makes amazing dresses designed and created from a woman's perspective. Dedicated to being a part of the environmental solution, all pieces are made from deadstock materials. The collection is ethically made in Los Angeles by talented seamstresses that get paid a competitive wage and receive health care benefits. DM: Creates accessible and adaptable modern pieces for the everyday woman. Production spans California, Peru, and India. The brand insists on maintaining the highest standard of ethics and sustainability. DM: A comfortable and stylish line designed to make women feel good in their clothes. The Eileen Fisher mission embraces simplicity, sustainability, and great design. Supporting the environment through a circular production process, and human rights through ethical factories and initiatives for women and girls are just a few of the key components that make Eileen Fisher more than a clothing line.